One of these Friday afternoons brought us to the Smithsonian’s Joseph F. Cullman 3rd Library of Natural History, where Rare Books Curator Leslie Overstreet generously took time and answered enthusiastic students’ questions about manuscripts, resources and best practices in rare book preservation. Not only were we shown books from James Smithson’s own libraries, but also many books with inspiring stories that were given as diplomatic gifts. It became a memorable moment for the students when we were introduced to a majestically carved wooden box with a gem of a book inside. 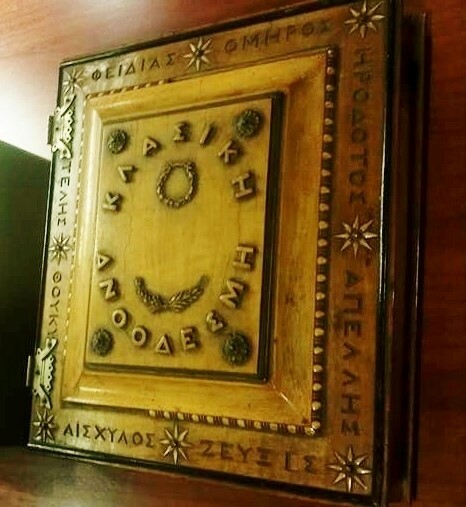 Carved Wooden Box of Klassiki Anthodesmi commissioned by Elizabeth Contaxaki. According to the Smithsonian’s Regents Reports for the year 1858, Smithsonian Secretary Joseph Henry personally laid before the Smithsonian Board the volume Klassiki Anthodesmi (“Classical Bouquet”), designed and executed by the Cretan born Elizabeth Contaxaki (c. 1818-1879). An accompanying letter from Ms. Contaxaki was addressed to the US State Department. The volume was originally prepared for the Universal Exposition in Paris in 1855. Ms. Contaxaki, then a resident of Athens, had attended a high school founded by the American missionary Reverend John Henry Hill (1791-1882) and his wife Frances Hill (1799-1884). In 1831, the Hills founded a school that is still in operation in Athens under the name of the Hill Memorial School. In the preparation of the volume, Ms. Contaxaki was assisted by six Greek gentlemen who are named on a page preceding the illustrations. Because the gift is a very powerful statement of early diplomacy between Greece and Washington, DC, students and my colleagues from the University of Maryland began to research on the volume’s context and history. In honor of Women’s history month we celebrate the creator and spirit of this volume, Ms. Contaxaki, in this blog entry, and at a conference in early April. 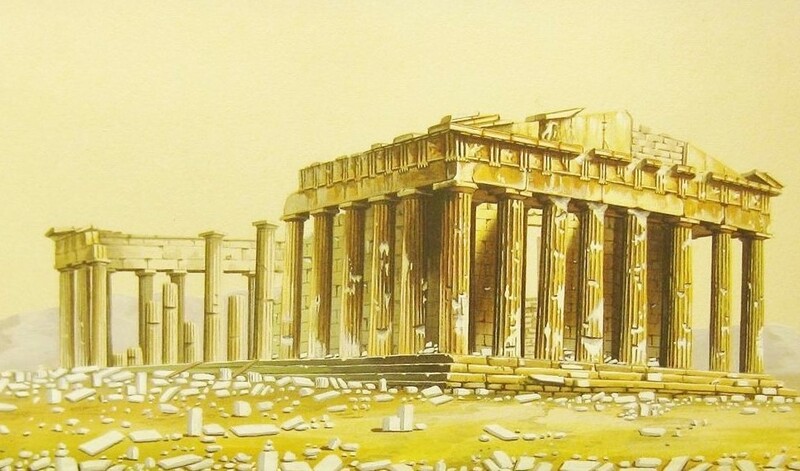 The Parthenon as it appears in 1855, in the Klassiki Anthodesmi. 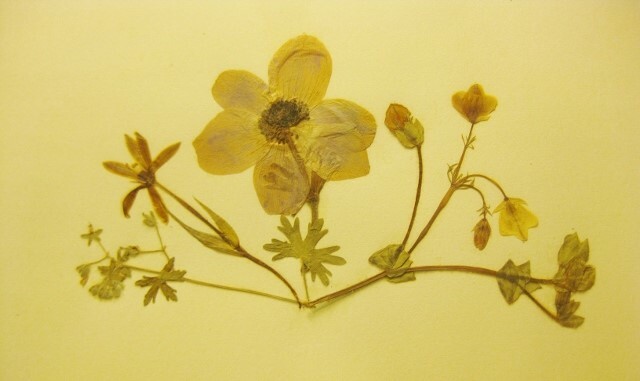 Pressed and mounted specimen of an anemone, collected by Elizabeth Contaxaki on the Athenian Acropolis in or shortly before 1855. As testament and time capsula, the Klassiki Anthodesmi allows us to understand aspects of world folklore, aesthetics, and ideas, and most importantly perhaps, a sense of belonging in the 19th century. Often, travelers enjoying the archaeological sites, museums and memory traditions today, are unaware of the history and networks of the people who protected this heritage in earlier generations. Adamantios Korais (1748-1833), for instance, revived the ancient Greek language, and stood in close contact with other European and American intellectuals. The time preceding the 1850s were an important moment for Greece, as it struggled for independence, and the book is a manifestation of this time. The American poet Bayard Taylor (1825-1878), who met Ms. Contaxaki in Athens in 1857 noted that “there is no doubt that both her achievements and her influence would be greater were the sphere of woman in those countries less circumscribed. … She would be an exceptional woman in any country.” But how did the volume travel from Greece via Paris to the Smithsonian Rare Book Libraries? What do we know about Ms. Contaxaki and her motivations? Did she meet Pittakis when she picked up her flowers for the Bouquet? Curious about the context of the book’s production and legacies, students and faculty members from the University of Maryland have now prepared papers around the theme of Greek literature, life and archaeology, and the relationships between Greece and the US in the 19th century. This one-day event *The International Context of the Greek World in the 19th Century: Klassiki Anthodesmi, a “Classical Bouquet”* will take place on April 2 at the University of Maryland’s campus at College Park. The volume will be on display during the conference. The aim is to link the Classical Bouquet to its 19th century context and to give a glimpse of efforts to preserve the extraordinary richness of Greek heritage (and flora) in this important century. 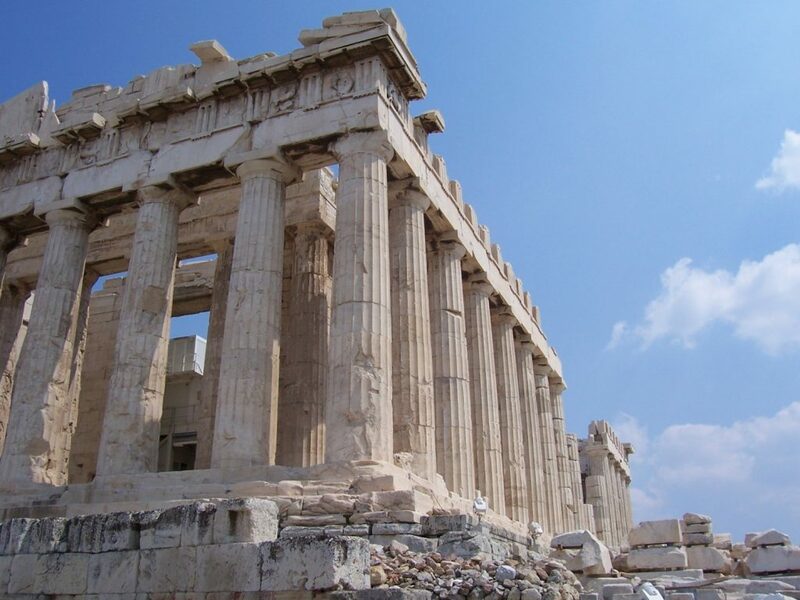 The conference is generously supported by a grant from the University of Maryland’s College of Arts and Humanities, and will allow participants to explore the Greek-speaking world in the 19th century.